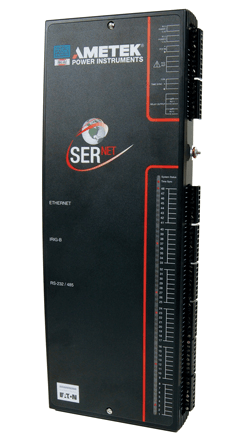 Each SERNET product can work as a stand-alone system monitoring up to 48 digital inputs or multiple SERNET units can be networked together to form a larger system with all events consolidated in one chronological list as they occur. A single WEB browser screen can display alarms from several SERNET units, making it easy to see the interaction between different equipment types or processes. This flexibility makes it easy to analyze alarms across an entire site or even across multiple sites for a larger system view - much better than piecing together a list of alarms from multiple devices.